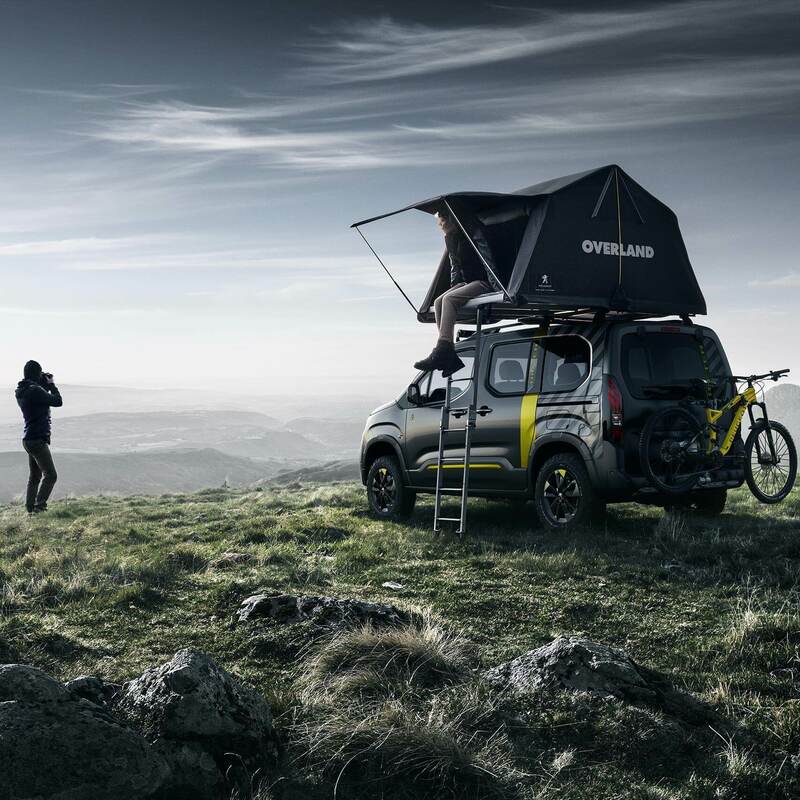 ADVENTURE DOESN’T STOP AT SUNSET ! 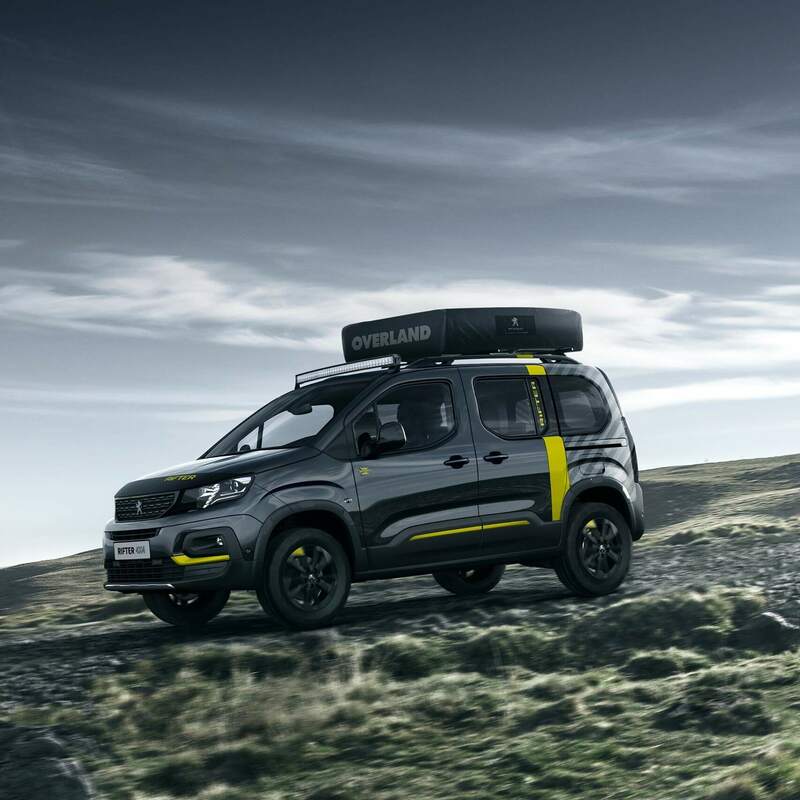 PEUGEOT RIFTER 4x4 CONCEPT is equipped with an "Overland” tent developed with the expert Autohome. 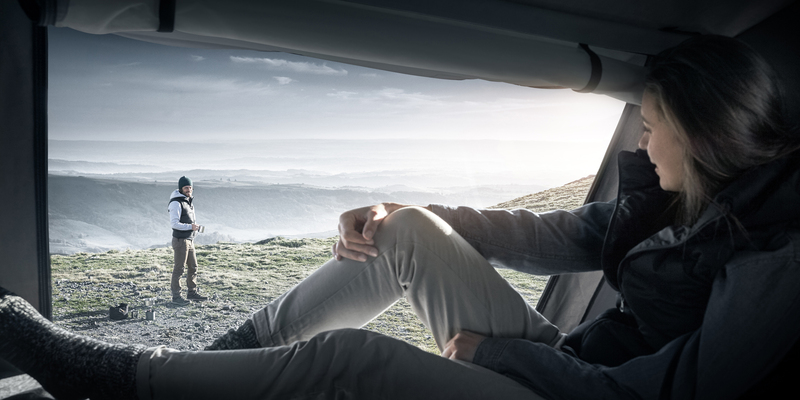 It is very simple to install: all you have to do is unfold it from its housing, found within easy reach on the roof bars. 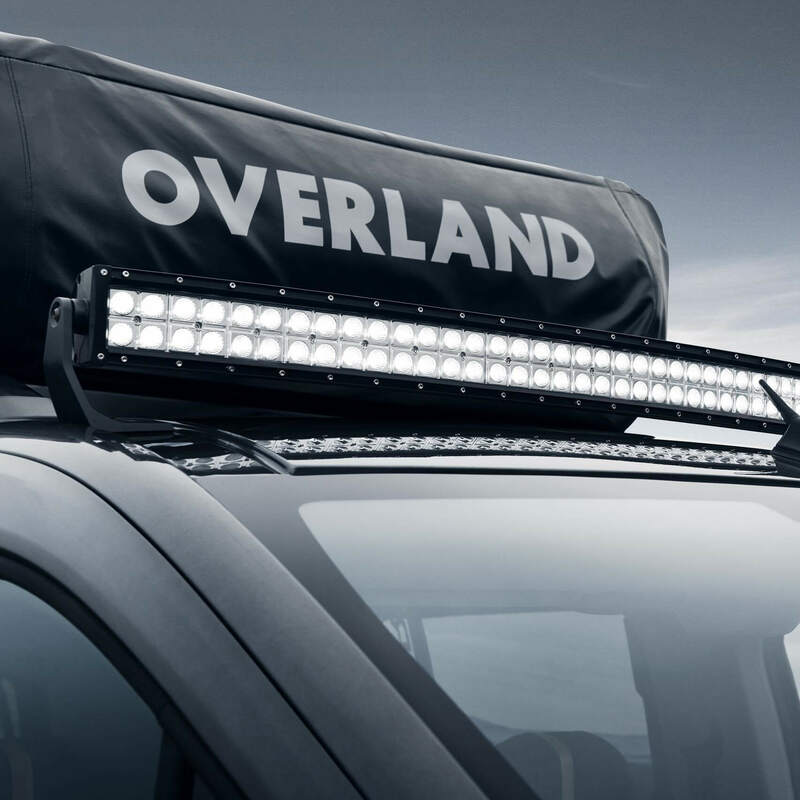 Certified compliant with the “City Crash Test” standard and available as an accessory, the roof bars will carry all types of load. All that remains is to fasten the slide-out ladder: no more tent pegs to bang in, it’s all ready for you on the roof. 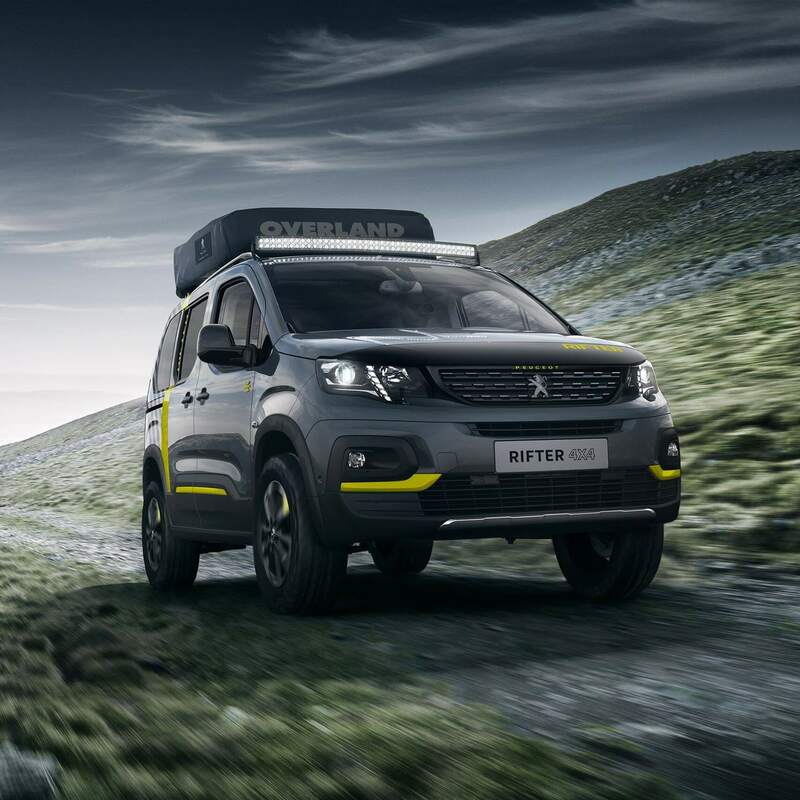 The tent fabric is specific to the PEUGEOT RIFTER 4x4 CONCEPT. It bears the name Peugeot, and follows the graphic theme of the show-car. 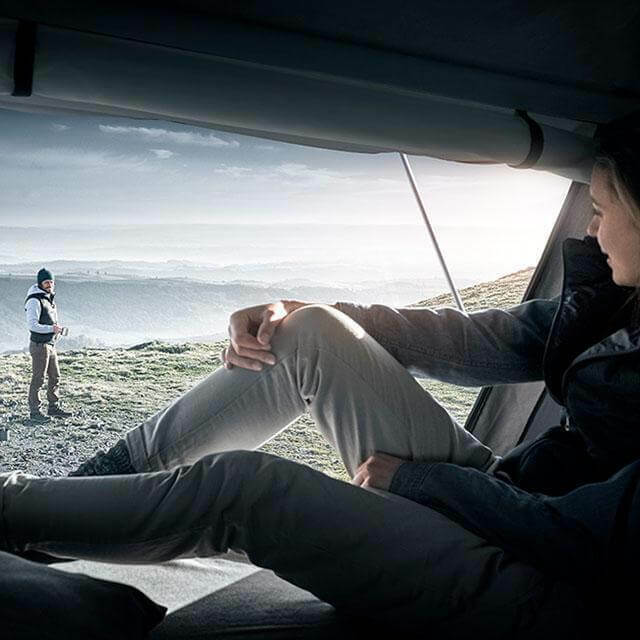 The mattress is compact, folds out easily to sit inside the tent and is provided with pillows. 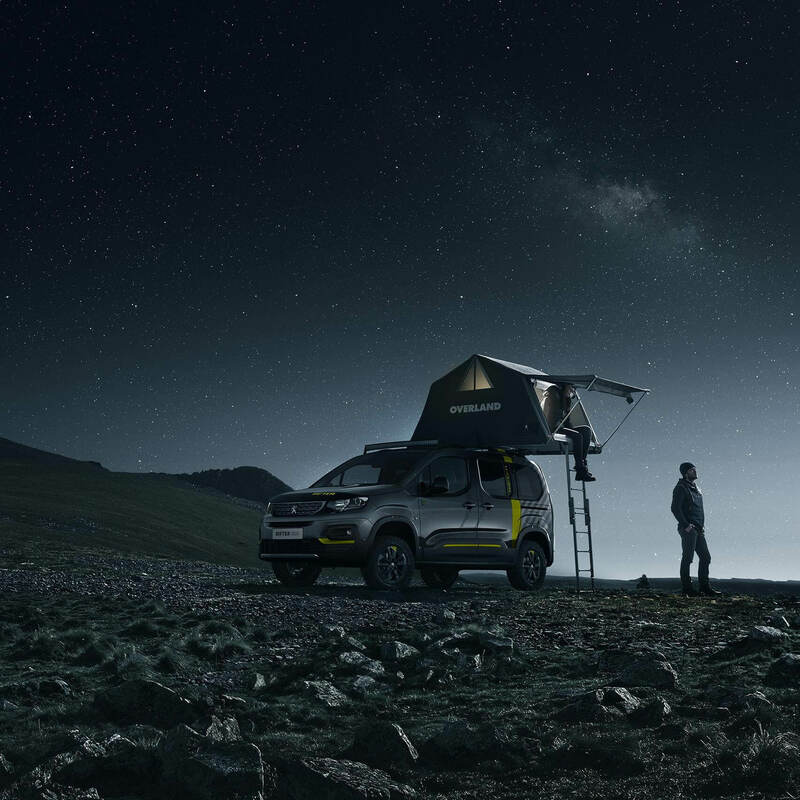 At the end of the journey, PEUGEOT RIFTER 4x4 CONCEPT becomes a welcoming and restful refuge.